Soon, the battle will rage. But in the calm before the chaos, you carefully prepare yourself for the fight. The Torson Leather Bracers, adorned with the ancient runes of your people, will protect your forearms in the coming brawl. 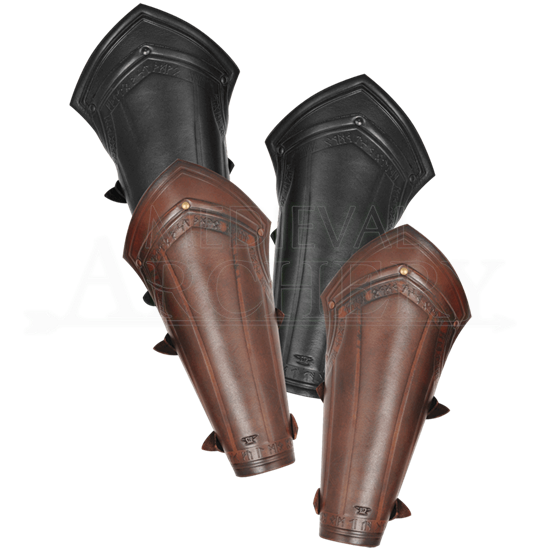 Handcrafted from high-quality leather, each bracer in this pair is subtly embossed with lines down its length and along its rune-decorated elbow and wrist cuffs. The angular, flared shape of the elbow lends additional protection to the design. Ideal for northern warriors or other hardy characters, these leather Viking bracers are secured via two leather buckled straps on their reverse that can be adjusted to fit closely to the forearms. 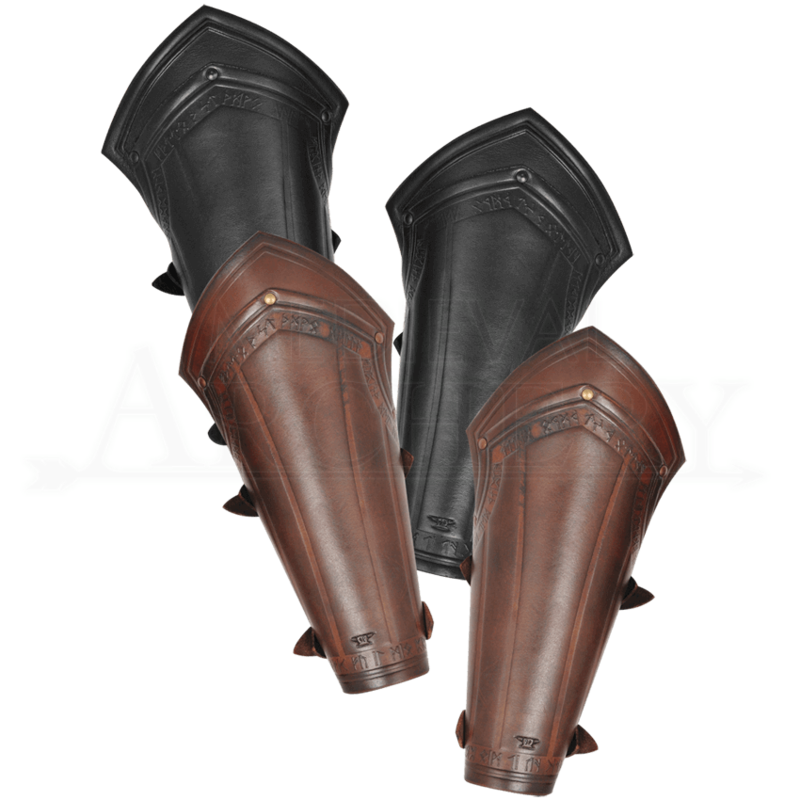 The leather and brass details that make up each bracer are artfully antiqued for a look that is sure to suit most medieval and fantasy settings. Protect your arms during LARP skirmishes with these handmade bracers, or simply wear them to add detail to your Viking or fantasy costume.